Since the launch of App Store, millions of apps have been developed for iOS platform. Most of apps on App Store are for free and some cost litlle money. But there are few apps that cost you much more than you own iOS device. We know these apps as the most expensive iPhone apps on App Store. 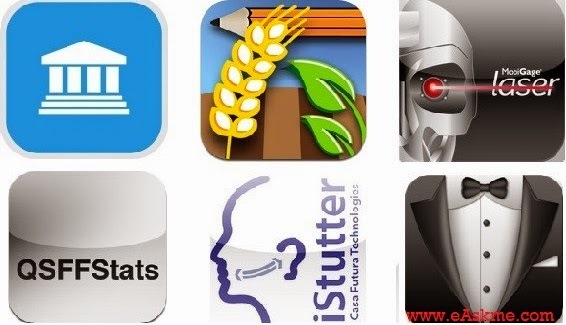 These apps cost about $999 or more. So these are definitely most expensive apps in App Store. But the good thing is that App Store has a maximum price limit of $1000 USD for an app. You must be in need of these apps to buy them. So here we discuss about top 6 Most expensive apps available in App Store. This app put you on the list of elite members who get super treatment at Clubs, Restaurants, Hotels etc. This million dollar app cost you $999, as to own this app you need to have at least $1 million in bank account. With this iVIP Black app you can book islands, yatches, private jets and so much more. So this is for you if you want to show off money. Download iVIP Black if you are a millionaire. This is also only for few people in the world. This is for those who stutter. This app help reducing stutter. According to this app`s description this works best. This analyze vocal fold and give feedback. With the help of this app you can easily lose stutter. This app help you for inspecting assembalies and manufactures parts at major warehouses and production companies. The desktop version of this app cost you $25,000 and mobile version price $999. This app is for manufaturers and industrialists. This app for Amerian football maniac. This kepp you update about latest happnings with teams, flag status, players. You can easily track all teams, according to Play-by-play, dates, times, fields, location by email . This app mainly used by people who love Super Bowl as this is most watched event in United States. This is for modern and rich agriculturist or farmers. This app helps farmers to note everything including condition oil and crops. This also help Agronomists to create reports. It also store so man client details to make your job easy. BarMax CA is designed to answer Bar exams of The New York or California. This help you to prepare exams and provide lot os audio lectures and lot of material. This has 1471 MBE questions and also 100 previous essay exams. This app may actually help anyone to pass exam with good numbers. So this is the high class list on most expensive iPhone apps. Many users only use these apps to show off their money and status. Its on you if you want to try these. If you using any of these apps then do share in comments.